This week sponsors are Morgan's ArtWorld and you could be the winner of 3 digi images. be winner of 3 digi images. Wow we have some amazing sponsors this week. Hop on over and play. an awesome week. Lots of hugs. 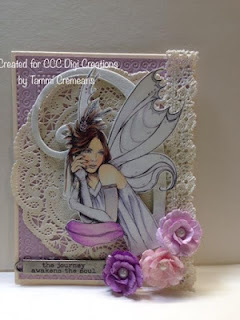 Love the colors on your card and that you used to color that beautiful fairy! Gorgeous card! This is just beautiful card!